Does Islam prohibit a woman from travelling without a close relative? World-wide Spiriual Head of the Lahore Ahmadiyya Movement, Hazrat Ameer Dr Abdul Karim Saeed, inaugurates the historic renovation of the Mosque exterior, April 2018, rededicating the mosque to the mission of establishing peace between religions and communities. History of Islam in the U.K.
Islam as taught in the Holy Quran and as illustrated in practice by the Holy Prophet Muhammad. We strongly believe that both non-Muslims and Muslims today desperately need to receive the true message of Islam, which shows that it is a tolerant, rational, progressive, compassionate, peace-loving and highly spiritual religion. This is so vastly different from the common, distorted image of Islam, which has done enormous damage to the cause and the standing of this faith in the world. The Movement’s approach is to try to convince the human mind, intellect, conscience and heart, of the truth of Islam. It works for this objective by presenting reasoned arguments and showing the inherent beauty of Islamic principles and their appeal to true human nature. We also believe that the truth and beauty of Islam must be shown through one’s practical life and example. The Lahore Ahmadiyya Movement is a direct continuation of the Ahmadiyya Movement as founded by Hazrat Mirza Ghulam Ahmad (d. 1908) and as led afterwards by his successor Hazrat Maulana Nur-ud-Din (d. 1914). It seeks to preserve the beliefs, mission and goals of this Movement as set down by these two guiding lights. Hazrat Mirza Ghulam Ahmad (1835-1908) arose in India at a time when the faith of Islam was under the heaviest attack by its critics. It was being misrepresented as a primitive, crude and violent ideology. Muslim leaders, with their outdated knowledge, narrow vision and their own misconceptions about Islam, were entirely failing to meet these challenges. It was a time when Muslims all over the world had suffered their most complete downfall in every field of life: political, intellectual, moral, and religious. The religion of Islam was under ferocious attack by Western critics. They condemned it as a religion of violence, brutality, sensuality, mere ritual, lacking high values, and devoid of any notion of love of God or forgiveness. The Prophet Muhammad’s character was misrepresented in the worst possible terms. Muslim religious leaders were generally uninterested in and ill- equipped to respond. Many Muslims were losing faith in Islam. 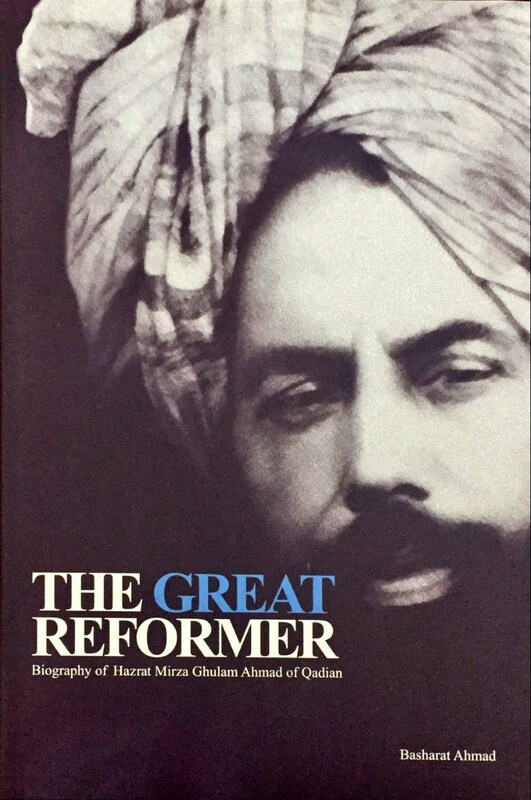 Hazrat Mirza Ghulam Ahmad arose claiming to be a mujaddid with the God-given mission of defending Islam and reviving faith in the hearts by means of guidance from the Quran and the Holy Prophet. He taught that Islam possesses a great spiritual power to attract the human mind and heart. It spreads without any worldly force, power, army or state behind it. From a state of destitution, Islam will capture human hearts, even among the nations who are its worst critics. He rebutted all kinds of criticism and objections against Islam. The Quran describes God as Lord of all the nations (not as God of Muslims only), Who is concerned for all of them. He sent prophets before Prophet Muhammad in all nations and Muslims are required to believe in all of them. A belief in the prophets of all nations creates harmony between nations in place of antagonism. The Quran presents God as treating all human beings justly without prejudice for or against anyone. It says you don’t get acceptance from God by calling yourself by a label such as Muslim, Jew or Christian, but only by surrendering your base desires, being dutiful and doing good to all others. Islam rejects the concept of exclusivity of any nation. The Quran tells Muslims to side with truth and goodness wherever these may be found among any people. It teaches Muslims to follow principles such as justice rather than show blind favouritism for one’s own people and prejudice against others. His achievements in the revival of Islam and the reform of Muslims proved his claim of being one of the mujaddids (Reformers) of Islam who arose throughout Muslim history. He also claimed to be the Messiah whom the Muslims were expecting would come at the most critical time in their history. He repeatedly denied the false allegation made against him to be a prophet; on the contrary, his mission was to preach Islam in its pristine purity, as taught by the Holy Prophet, the Last of all the Prophets. When the successor of Hazrat Mirza Ghulam Ahmad, Nuruddin Sahib died in 1914, certain elements in the organization led by the founder's son gained control of the movement, turning it into an exclusive intolerant sect ruled by a spiritual autocracy and grossly distorted and misrepresented Hazrat Mirza Ghulam Ahmad's views by asserting that he had claimed prophethood and such regarded his deniers as being expelled from Islam. These circumstances compelled Maulana Muhammad Ali to establish the Lahore Ahmadiyya Movement to continue Ahmad's real mission. Of Ali, Hazrat Mirza Ghulam Ahmad had written in 1899: "I am sure that my foresight will not go wrong in this, that this young man will make progress in the path of God, and I am sure that by the grace of God he will prove to be so firm in righteousness and love of religion that he will set an example worthy to be followed by his peers. O God, let it be so! Amen, again Amen." Hazrat Mirza Ghulam Ahmad inspired deep faith and enthusiasm among his followers for the propagation of Islam to the modern world. Six years after his death some of them created our present body in Lahore devoted to this work, led by Maulana Muhammad Ali. 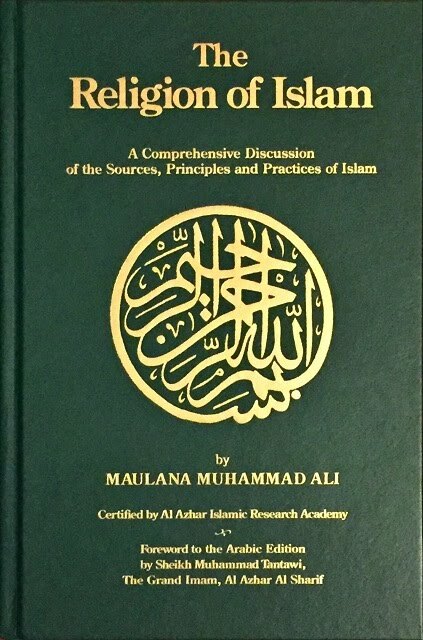 · It published an English translation of the Quran with full commentary by Muhammad Ali in England in 1917, the first such work by a Muslim to reach a Western audience. For many years it was the only Muslim English translation available. · Later translators (Pickthall, Yusuf Ali and others) greatly benefitted from this pioneer work. · His writings have been published in several European languages. · A monthly magazine The Islamic Review was published from there for over 55 years. He and the later Imams gave lectures on Islam all over this country. · Many people accepted Islam at this Mission. The stories of those converts, published by the Woking Mission in a book Islam Our Choice, have been republished all over the world by other Muslims and are on numerous Muslim websites. · It was Britain’s main centre of Islam, supported by Muslims of all persuasions, for over 55 years. Prominent Muslim leaders visiting the U.K. from all over the world, as well as Muslim students, diplomats, scholars, businessmen, professionals living here, joined the meetings and gatherings organised by the Mission. · Plans to build a mosque in London were made at the Woking Mission, under the direction of Khwaja Kamal-ud-Din, which later led to the present-day Central London Mosque in Regents Park. · The Lahore Ahmadiyya Movement built a Mosque in Berlin in 1925 and established a Mission, from where Islam was propagated in Central Europe. Other Muslims made use of and supported this Mosque and Mission. · The Movement provided religious assistance to Muslim communities all over the world, east and west, especially where Christian missions were attacking Islam in order to convert Muslims. 1. International — God raised Prophets in all nations, not only among the Israelites (as already accepted by Muslims) but also in India, China, Persia etc. A Muslim must believe in and respect all these prophets and their scriptures. Islam restores the original purity of the eternal truths taught by them, and broadens the scope of their national teachings to provide a faith for all humanity. Goodness, good people and truth may be found in all nations. God is equally just to all human beings, irrespective of their race, nationality or religion. 2. Tolerant — It gives full freedom to everyone to hold, practise and adopt any belief and religion. Differences of belief and interpre- tation, with whomsoever these may occur, must be tolerated. Criticism against Islam must be answered only by word, and any offence felt must be borne with patience; responding by physical violence is alien to the teachings of Islam. The common image of Islam as an intolerant faith is completely false. 3. Peaceful — It condemns all use of force except in unavoidable self- defence. All battles of early Islam were purely defensive. Muslims must live peacefully under any rule which grants them freedom of religion. The impression that Islam urges its followers to wage war or rebellion to establish its rule is entirely wrong. The concept of Jihad is greatly misunderstood: it primarily signifies a spiritual, moral and intellectual struggle to reform oneself and others. 4. Non-sectarian — Any person professing the words “There is no god but Allah, and Muhammad is the Messenger of Allah” must be treated as one’s fellow Muslim. No inquisition is allowed into anyone’s beliefs or motives. Issuing so-called rulings, on some pretext, to expel from Islam those who profess the Kalima is entirely against Islamic teachings. 5. Rational — It urges use of reason and knowledge in all matters, including religious affairs. Blind following and acceptance are dis- allowed, and independence of thought is granted. Blind, unthinking obedience to religious leaders is condemned. 6. Living — Acts of worship are not rituals to be performed without thought or feeling. They are meant to put the human soul in living contact with a Living God. We must know the purpose of prayer, fasting, etc. and carry them out in their true spirit. God listens to man’s supplications and answers his prayers. In every age there arise, among Muslims, saints who have closeness and communi- cation with God. Their example shows others that there is a Living God Who speaks to man. 7. Supporter of women — A great deal of misunderstanding prevails on this point, mainly due to local customs being confused with the teachings of Islam. According to Islam, a woman is a full, respon- sible human being, just as a man is. She should have the same control over determining the course of her life (including matters of marriage and divorce) as a man has over his life. 8. Highly moral — It requires Muslims to develop the highest personal moral virtues, and display these qualities even at the cost of personal or national interest. An Islamic society is not created by imposing laws and regulations on people. It is only created by reforming the character of individuals through moral training and example, and this was what the Holy Prophet Muhammad did. 9. Heart-winning — It seeks to conquer hearts and minds by showing the logic, truth and beauty of its teachings, in a gentle, loving spirit.It condemns force or coercion to spread the faith or make people conform to it. 10. Complete — The Holy Quran and the Holy Prophet Muhammad provide complete and perfect guidance for all mankind, for all time to come. The Holy Prophet is the perfect exemplar of the highest moral virtues. After him, no prophet or authority is to arise. As Hazrat Mirza wrote: “I firmly believe that our Holy Prophet Muhammad is the Last of the Prophets, and after him no prophet shall come for this nation, neither old nor new.” (Nishan Asmani, p. 28). Note: The focal point of the unity of Muslims is belief in the Holy Prophet Muhammad. He is thus their last, final and supreme human guide. No prophet can come after him, but only auliya (saints) and mujaddids (revivers of Islam). Hazrat Mirza Ghulam Ahmad did not claim to be a prophet but a mujaddid in Islamic tradition. Our main aim is to present Islam in its true, original light, as a peaceful, tolerant, spiritual and rational religion. We seek to show how the spiritual and moral teachings of Islam are vital to the modern world, and how Muslims can live harmoniously in the modern world alongside people of other beliefs and views. Our UK branch is a continuation of the Woking Muslim Mission, founded at the Woking Mosque, Surrey in 1913 as the Woking Muslim Mission. The conference was a remarkable breakthrough for the Jamaat's mission in the region. Being supported and co-hosted by the World Organization of Sufi Orders, and being attending by leading religious personalities and academics, the conference was a testament to the Lahore Ahmadiyya Jamaat's teachings and interpretations being capable of generating support from other Muslims even in this period of widespread anti-Ahmadiyya sentiment. Being very impressed with the work being done by the US Jamaat for the advancement of Islam in the West and the Arabic literature published and distributed by the US Jamaat in Egypt, both Sheikhs [Sheikh Azayem and Sheikh Omar Bastiwisy, former Director of the Office of the Grand Imam at Al Azhar Al Shareef and Secretary of the International Sufi Union) offered to arrange for several other leading Sufi Sheikhs to meet with us to learn about the Lahore Ahmadiyya Movement. As most people are only familiar with the Qadian Jamaat’s beliefs and interpretations, which has been an obstacle to the spread of Hazrat Mirza Sahib’s teachings in Muslim-majority countries, both Sheikhs desired that other leading and influential Muslim figures learn the truth about the Ahmadiyya Movement — just as they had. In particular, they wanted us to establish for the delegation of participating Sufi Sheikhs that Hazrat Mirza Sahib did not claim to be a prophet and firmly believed in the finality of prophethood in the person of the Holy Prophet Muhammad. By Fazeel S. Khan, Esq. Are Science and Religion Inherently Incompatible?